"Today the world changes." 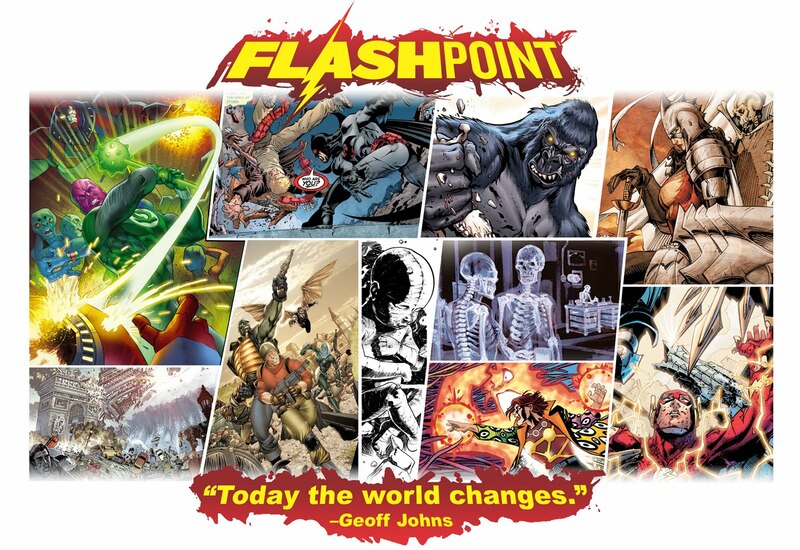 So said Geoff Johns, the writer behind DC Comics's latest big crossover event. 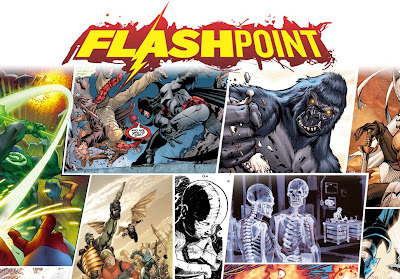 And today DC Comics gave us a first look at the alternate universe. 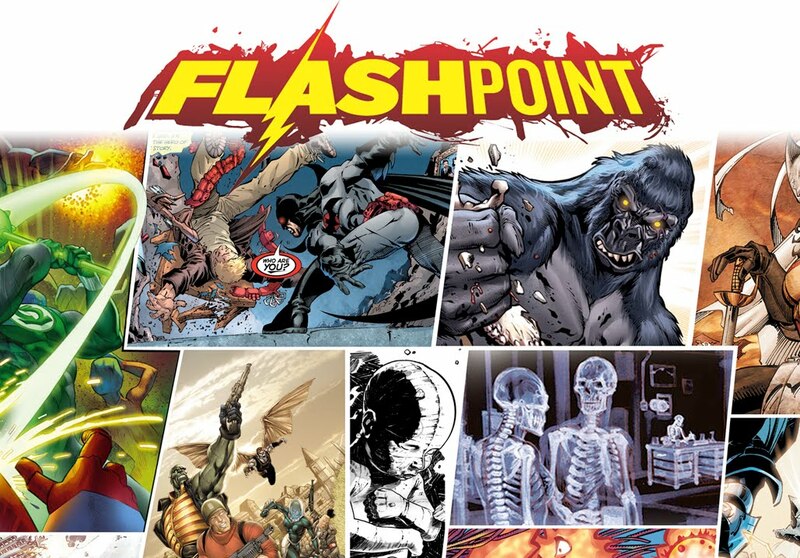 Flashpoint, the next world-ending big Summer crossover event here at the DC Universe will be hitting the stores today, just in time to counter Marvel's Fear Itself. Reminding one of Marvel's own Age of Apocalypse and House of M (the plot's so good the House of Ideas used it twice), FLashpoint thrust Barry Allen, the current (and classic) Flash into an altered DC Universe where Cyborg is the quintessential hero, Superman is apparently detained by the government, and a Thomas Wayne version of Batman who is "spending his days running Wayne Casinos." 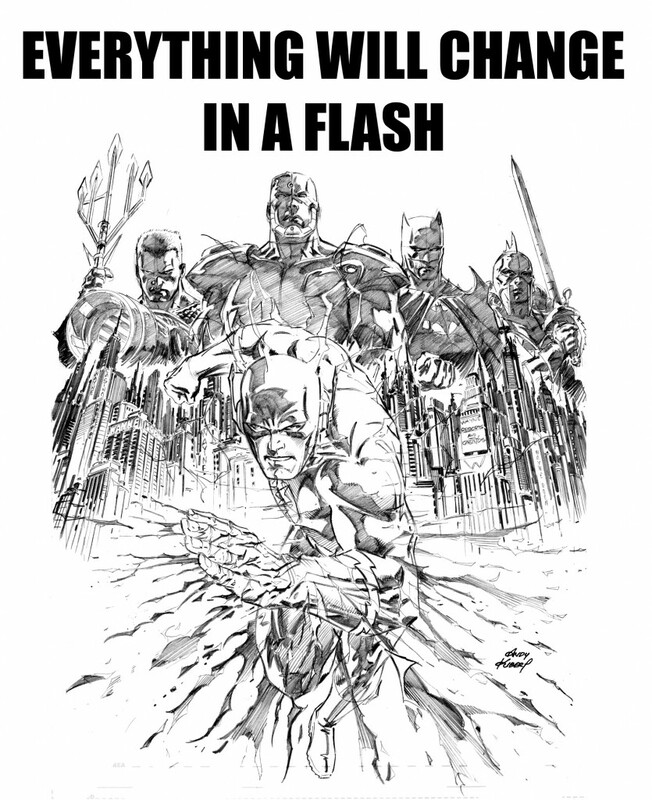 Okay, they got me with the Cyborg being the quintessential hero part. What kind of world in the infinite earths can it be that something so wrong has happened? For those wondering what is behind the world went wrong, DC Comics has unveiled a new teaser image depicting numerous scenes in the altered universe. And yes, the image is not meant to answer any lingering questions and served only to tease. Hit the jump and click on the image to have a larger view.